When we’re in high school, prom feels like a really big deal. Like something we’ll be talking about decades down the road. An event the press will be interested in. One for the books. For one class of high school seniors in 1975, those assumptions turned out to be true. 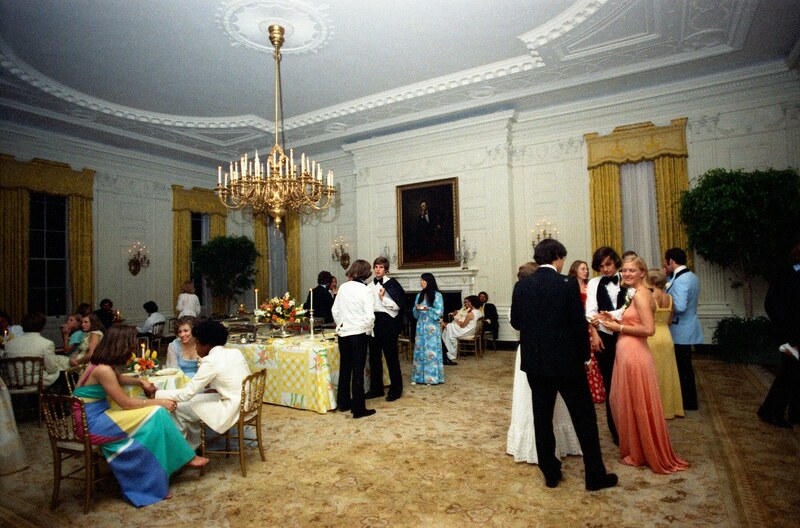 When Susan Ford, daughter of then-President Gerald Ford, was in on the planning of her class’s senior prom in 1975, she thought her parents’ home would make the perfect venue. The White House, that is. 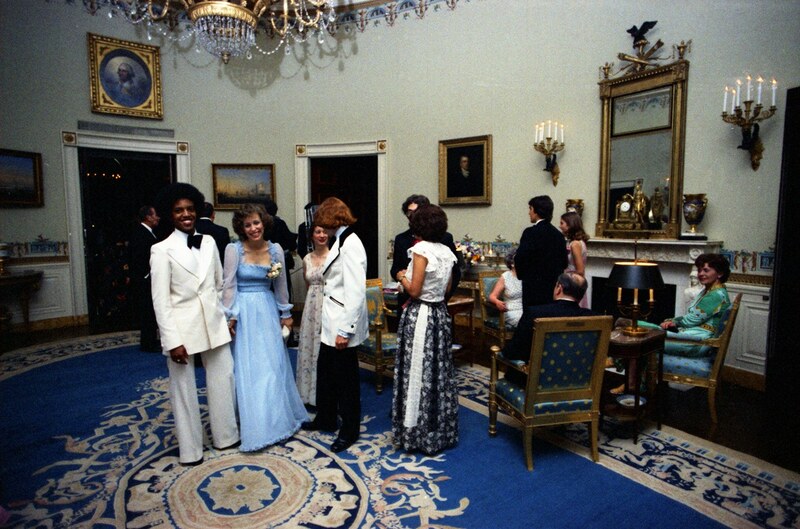 What followed was the first—and only—prom ever held at 1600 Pennsylvania Avenue. “But who will go with me, mom?” These words had no place among the Holton-Arms class of 1975. 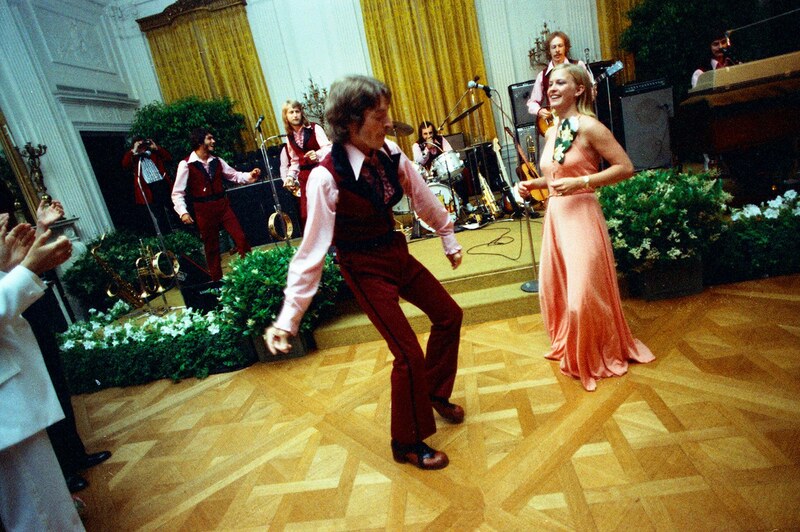 When an invitation to prom doubles as an invitation to the White House, the acceptance rate is…quite high. The class had 100% attendance. All 74 seniors attended, plus dates. If guests were picturing a lavish buffet of American delicacies, they may have been disappointed. While the party had a regal setting, the bill still had to be paid by the school. And that meant typical prom food. And typical 70’s food. Finger food included mini quiches, Swedish meatballs, and non alcoholic punch, all set on tablecloths made from sheets and next to homemade centerpieces. It’s not every high school prom committee that can get The Beach Boys on the phone. But when this one did, they turned them down. The Beach Boys wanted to record the event in exchange for a reduced rate. The prom committee wouldn’t have it, and settled for other bands instead. Even when your parents’ nicknames are POTUS and FLOTUS, it still isn’t cool to have them hanging around your senior prom. 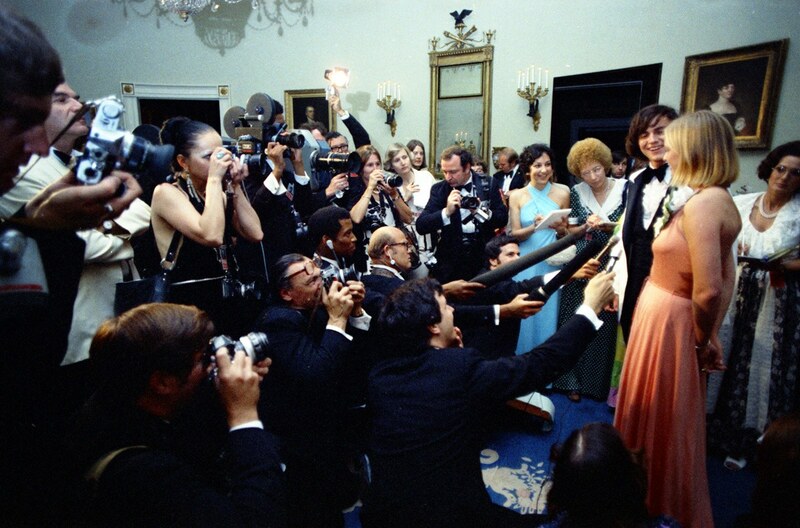 President and Mrs. Ford respected their daughter’s space by travelling to Europe the week of the party. The bill for the best prom in history: $1300. 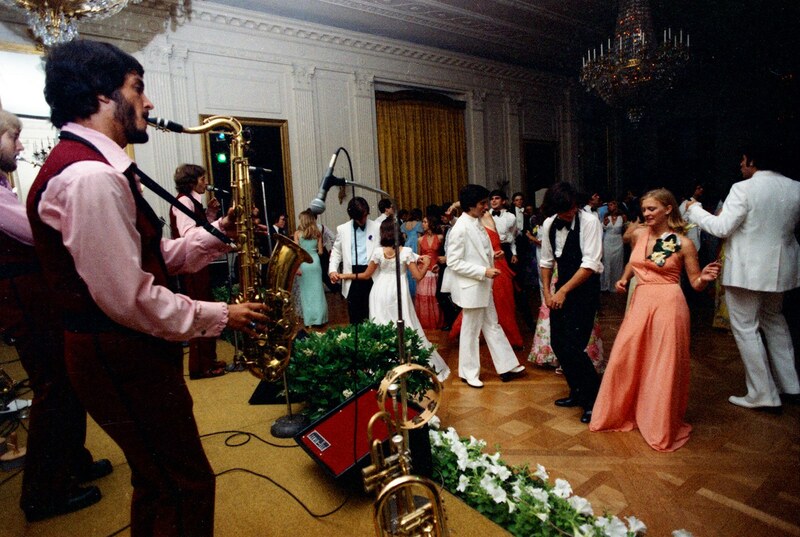 No, taxpayers didn’t foot the bill for the First Daughter’s dance. Instead, the prom committee paid for all expenses by raising money with a tried-and-true method: bake sales. The cost of having the most memorable prom of all time? $1300.